What Maritza Buitrago can and cannot say on the electoral road. 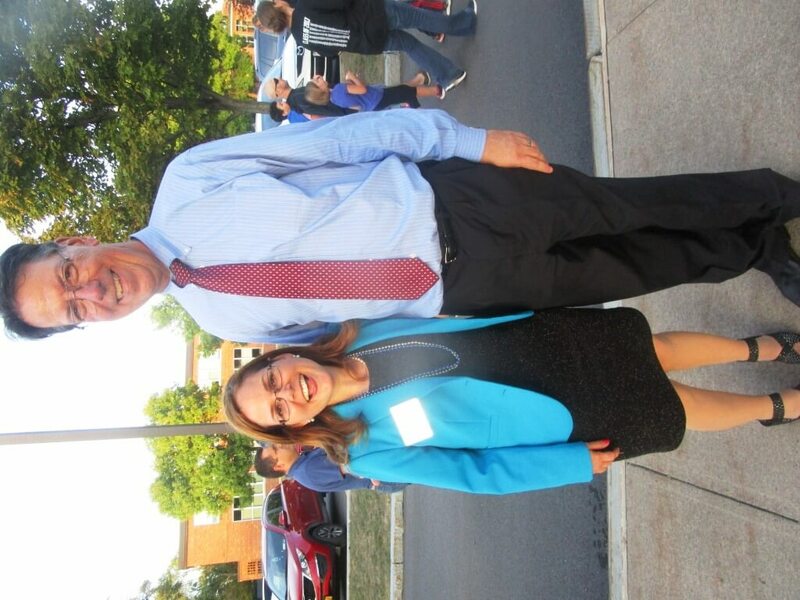 Maritza Buitrago with Brighton Town Supervisor William Moehle at the Brighton Homecoming parade. 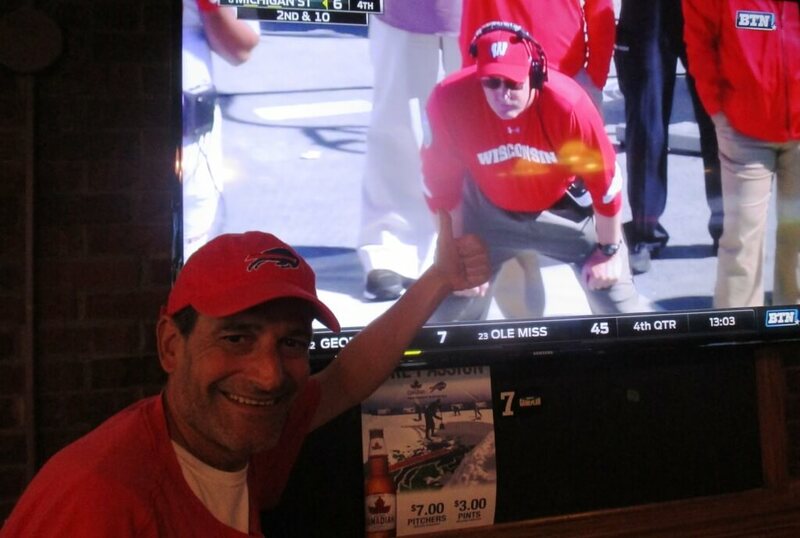 Biking back last Saturday from the Otter Lodge in Brighton after watching with my faithful alumni association the Wisconsin Badgers rout Michigan St. 30 – 6, I saw none other than Maritza Buitrago canvasing my neighborhood. 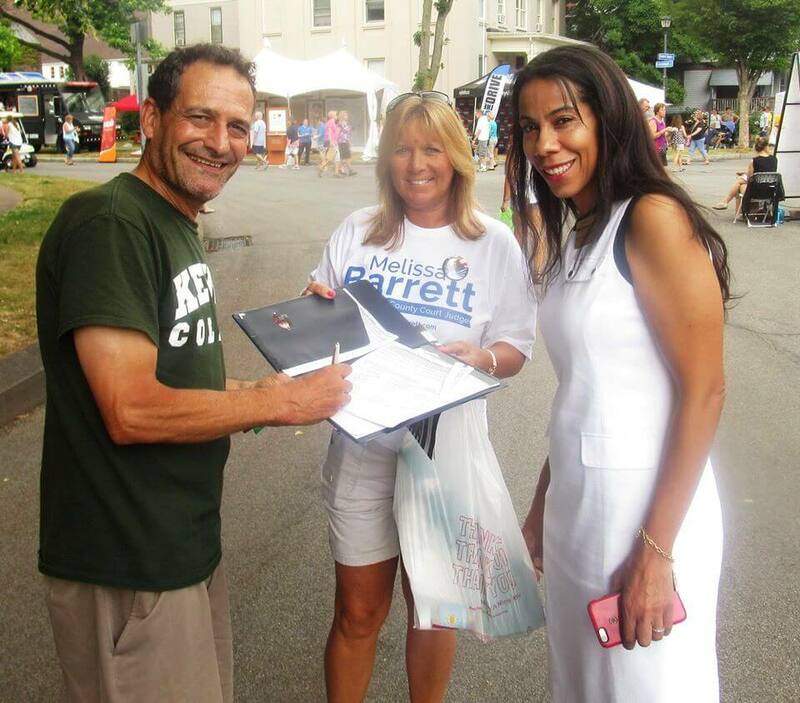 I had met Maritza a few week earlier at the Brighton Homecoming parade, and she had kindly invited me to canvas with her at some point during her campaign for Family Court Judge. With Melissa Barrett. see “What is the working class?” with Thomas Warfield at the Labor Day Parade. So our chance meeting was ideal for an impromptu door-to-door session and photo-ops on yet another sparkling early Fall afternoon. 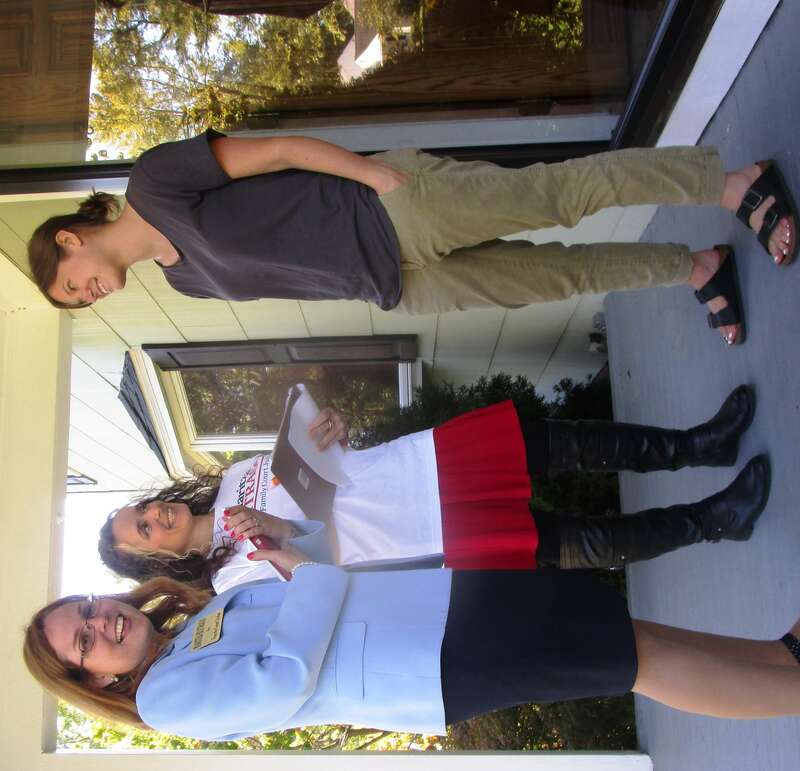 I had already wet my electoral feet canvasing with Rachel Barnhart and then with Harry Bronson, and also crossed paths many times with Melissa Barrett during her campaign for County Judge. I learned from Melissa there were certain questions — unlike for Rachel and Harry — she could not answer. Pointing me to the 72 page Judicial Campaign Ethics Handbook, Melissa explained that so-called “announce rules” require that no judicial candidate announce his or her views on disputed legal or political issues. The restrictions range from commonsensical prohibitions against stating how one would rule on a pending case to knottier issues. For example, a candidate should not express any opinion on the judicial election system itself. That is, whether they think political parties should or should not nominate judicial candidates. Nor should a candidate state any opinion on various “announce clauses” themselves. “Announce clause” are generally considered a disputed 1st amendment constitutional issue, hence a topic on which candidates should refrain commentary. Nor should they take a position on theoretical judicial questions such as whether supreme court justices should be appointed for life. During out conversations, Melissa was scrupulous about not pushing ethical boundaries on permissible topics. She focused on her own life story and professional qualifications. I wondered how Maritza would respond to the same questions. But first there was canvassing itself. I had picked up tips from Rachel and Harry, as well as Alex White and County Legislator Tony Micciche. Maritza added some more. Comfortable shoes are a must. Maritza was sporting Skechers with Memory Foam. Carry and use a golf ball to knock on doors. When in Irondequoit, people often expect you will walk around to the backdoor. Once Maritza knocked on a door only to encounter hordes of voters at a backyard pool party. Not actually getting into the water herself, she canvased dozens of bemused bathers. As — as emphasized by all — the “graceful exit” when knocking at an inopportune moment or when met with indifference. For example, at our first door a young boy answered — not necessarily indifferent but too young to cast a ballot. Maritza asked if his parents were available. The boy went upstairs, returning to say his father was busy. Maritza judiciously did not leave a campaign flyer with the boy nor make a return trip that day. Always err on the side of caution. Our next stop was a success. It turned out the woman answering was not on Maritza’s list. Actually, the woman had just moved into Brighton from the city that very day. As Martitza had not mentioned political parties, the woman asked her affiliation. Maritza said she was on the Democratic line. The woman responded with something like, ok, that’s all I need to know. For a moment, we didn’t know how to interpret that response. Then the woman announced, that’s good, I’ll be voting for you. Our next stop was Michael and Lynn Boucher’s home, both of whom I know. For me, seeing Mike again was a pleasure. 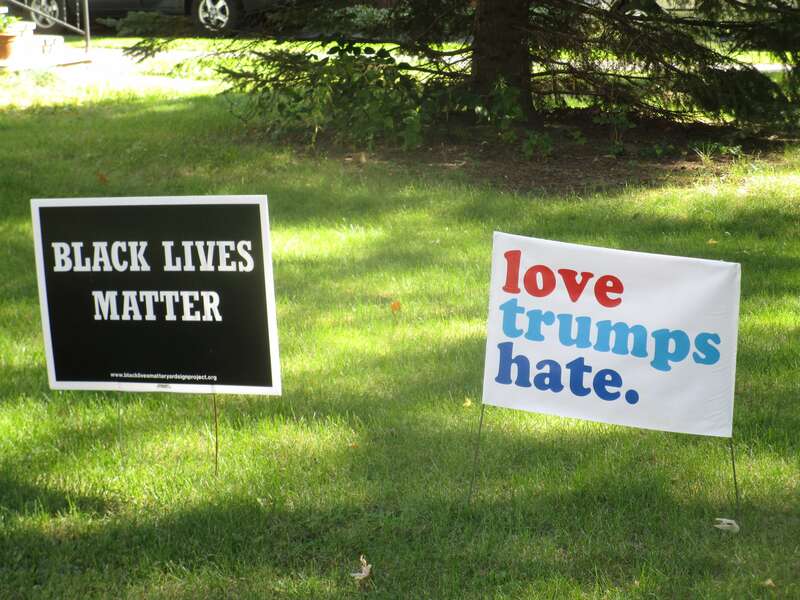 Last year, he and I had written about a Black Lives Matter sign in his front yard. I noticed Mike had added a second sign. Mike supported Maritza and they had short conversation not requiring a graceful exit. It was at Mike’s house Maritza pointed out that in Irondequoit people often expect you will walk around to the back door. At this point, I asked Martiza about what she could and could not say on the campaign trail. No endorsing or even commenting on a candidate, although she can say who has endorsed her. As Melissa had mentioned, Maritza could not campaign with or officially appear with any other candidate or elected official. The photo op with her and Bill Moehle was ok because they had met at a social gathering. I tried something more philosophical. Could she list some judges throughout American history who have impressed or influenced her? She could even exempt living justices. Maritza declined, explaining she should remain neutral even when discussing judges from the past lest she appear biased. From there, I shifted tactics. Explaining that I am baseball and softball umpire and that umpires are a little like judges, did she have a favorite umpire? Bill Klem, the “Old Arbitrator” or Rochester’s own Ken Kaiser? Maritza can, in fact, name a favorite umpire — but doesn’t have one. After reading the 72 page handbook, I saw some meritorious rules and others problematic. I like the careful monitoring of fundraising activities. But, as the handbook says itself, given that partisan political parties nominate candidates, keeping judicial elections relatively non-partisan rests on a shaky foundation. Strong cases are made that judicial candidates should follow the same rules — and have the same freedom of expression — as other candidates. For example, the women found what party nominated Maritza to be useful information. Yet, Maritza probably could not discuss in much depth why she is a registered Democrat. As a citizen journalist, I understand some of the ethical guidelines. A judge’s duties are different from a legislator. But I also worry that the prohibitions make the public rely too heavily on bar association and judicial qualifications commissions rating systems. In the end, I want to know as much as I can about a judge’s legal reasoning and decision making process. Is he or she a pragmatist, an originalist, tending toward judicial constraint or judicial activism? We ask these questions of Supreme Court nominees, why not all judges? In my time with Maritza, I found her thoughtful, engaging and warm. She clearly cares about families and children. While I prefer Maritza could discuss more topics, I respect that she carefully follows the ethical guidelines as currently written. 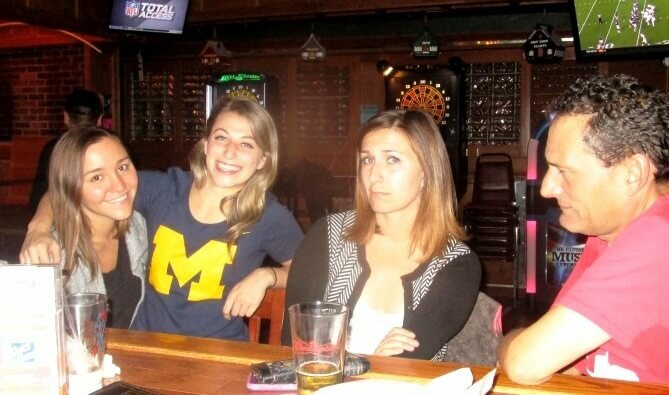 BADGER UPDATE: Yesterday (10/1) at the Otter our Wisconsin alumni association watched the Badger’s lose valiantly to Michigan in its “Big House.” Liz and I had to endure the smug post game crowing of Wolverines Tori and Mandy.